Two years ago, David performed a mesmerising stunt to launch BT Young Scientist. A collaboration and relationship that has grown and still continues today. An-all time favourite event on David’s calendar! Would you like to see one of David’s illusions live? Did you know he has ONE more date to go on his hit sell out tour Wizard of Odds? Tickets are selling out fast!! The last night of the tour is in Newry Town Hall, Saturday 19th May. See pinned post above for further details and how you can purchase tickets!!! 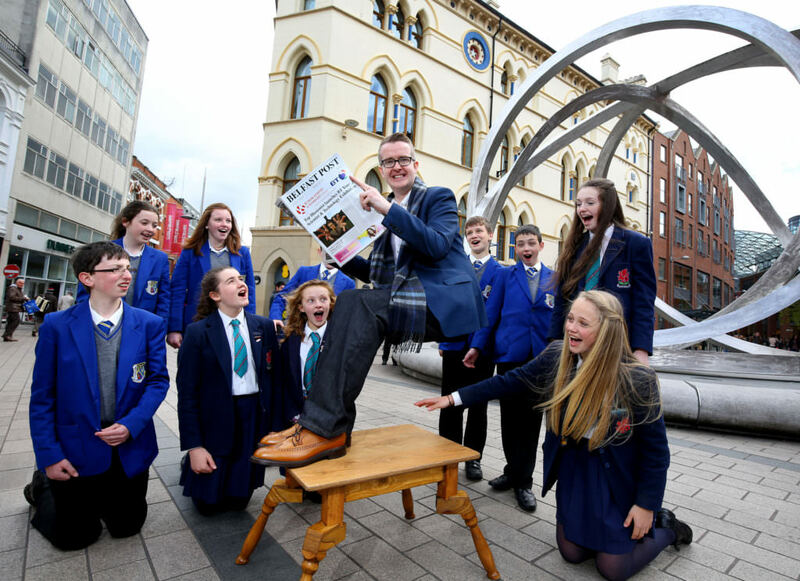 Top television mentalist David Meade wowed the crowds in Belfast city centre with a gravity-defying stunt to launch the 2016 BT Young Scientist & Technology Exhibition. Proving that the impossible is actually possible, David attracted gasps from startled onlookers as he sat suspended in thin air – a feat that must be seen in person to be believed. The display was created by BT to mark the official launch of the 2016 BT Young Scientist & Technology Exhibition and today the company called on second level students across the island of Ireland to get involved. Commenting on the launch, David Meade said: “I am very excited to be involved in the BT Young Scientist & Technology Exhibition. As a former teacher myself, I understand the importance of encouraging young people to take what they’re learning in the classroom and use their imagination to turn it into a fantastic idea. “It is so important that young people create their own journey and future path to success and this world class competition is a great way of helping them to really imagine the possibilities that could lie ahead – as I’ve demonstrated today, nothing is impossible if you put your mind to it!”.